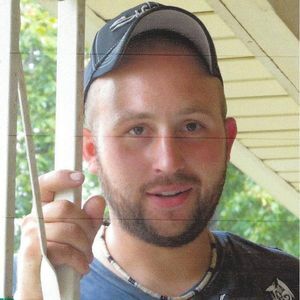 GREENVILLE- Robert Adam Baxter, 28, died Friday, May 17, 2013 at Muhlenberg Community Hospital in Greenville. He was born September 27, 1984 in Muhlenberg County, worked as a laborer and was a member the Bard Hill General Baptist Church. He is preceded in death by his great grandparents, Howard and Daisy Hammonds and his grandfather, Bob Baxter. Survivors include his wife, Nikki Jo Baxter of Greenville, two sons, Cameron Sharp and McKinley Baxter, a daughter, Hannah Baxter all of Greenville, mother and step father, Mechele and Barry Waltrip of Greenville, father and step mother, Sam and Tina Baxter of Central City, grandparents, Robert and Carol Brown of Greenville, grandmother, Ann Baxter of Nelson Creek, a brother, Skyler Sweeney of Central City, a sister, Samantha Baxter of Central City, uncle and aunt, Buddy and Rebecca Hammonds of Greenville, father in law and mother in law, Ricky and Vickie Keith of Greenville, along with several brothers in laws and sisters in laws. 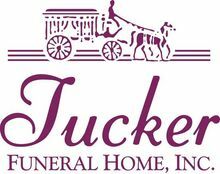 Funeral services will be held at 11:00 AM, Tuesday, May 21, 2013 at Tucker Funeral Home in Central City, conducted by Rev. Ricky Peterson and Rev. Adam Brown with burial to follow in the Eades Cemetery in Greenville. Visitation will be Monday after 4:00 PM and Tuesday after 8:00 AM at the funeral home. The beautiful and interactive Eternal Tribute tells Robert 's life story the way it deserves to be told in words, pictures and video. I enjoyed talking with Adam on my recycle drop off days. He was always kind & thoughtful. My thoughts & prayers are with you all for peace & comfort. Families are forever. Sammy and Tina-Our prayers are with you. My thoughts and prayers are with you all during this time. I am praying for comfort for you all. I did not even know his name, but he was always friendly,cheerful, and had a smile for everyone. I only knew him through recycling that we did and it was a joy to know someone so nice. We both enjoyed talking to him and certainly We pray for your family to help you through this. If your children grow up to become fine adults like he was, you will be blessed. May God be with your family, and know that he is looking down on all of you. Sorry to hear about Adam's death. I went to school with him.he was good guy&my prayers go out y'all. We just want to say that Robert family is in our prayers. He was always very friendly to us when we went to Greenville Recycling. He always had a smile on his face. I know Tim & Melissa has lost a good employee, God will be there he never leaves us or forsakes us. Just call on him and he always there day or night. My heart goes out to you and your family. My prayer is that God will see you through this sad time of your life.